Part of the joy of living in Southern California is the ability to enjoy outdoor living any time of the year. Because of this, most San Diego and Orange County homeowners strive to create a backyard where their families can fully enjoy the outdoor spaces on their property and where they can entertain guests in a comfortable, relaxing atmosphere. For homeowners with unlimited budgets, this is an easy task, particularly since they can simply hire professionals to design and install elaborate outdoor kitchens, swimming pools that look like works of art, expansive stone patios, amazing outdoor fireplaces and other coveted features. But for folks who are watching their pennies, creating a backyard oasis that you, your family and your guests can enjoy may seem like an unachievable challenge. After all, a full outdoor kitchen could easily cost tens of thousands of dollars, and some of us have to choose between installing a swimming pool or being able to pay for another semester of putting our kids through college. The trick is to choose backyard improvement projects that won’t break the bank, either by scaling down to something that fits your budget a bit better or enhancing your landscaping through do-it-yourself projects. For example, that dream patio kitchen might not be in your budget this year, but you can start working towards that goal by installing a built-in barbecue. If a built-in BBQ also feels a bit pricey right now, you can always start with a portable grill that will at least allow you to begin hosting weekend cookouts while you save up for a more elaborate setup in the future. The key to creating a backyard where you can relax or entertain is enhancing your outdoor living spaces as much as you can to make them as functional and inviting as possible. If that does not include an elegant water feature and a putting green, that is okay. You and your guests can have just as much fun with a simple horseshoe pit, a portable fire pit or a barbecue grill that costs less than $100. Determine your budget, get creative, and don’t be afraid to go for a basic patio party setup if that is all that will comfortably fit into your budget right now. Besides, the less you spend in creating a backyard that you can use and enjoy now, the more you can save for luxury improvements at a later date. 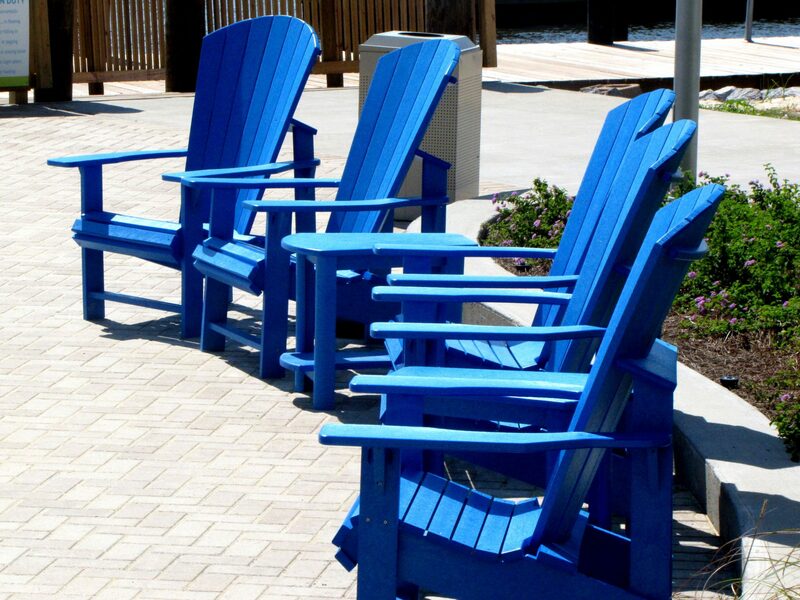 A patio area with comfortable seating is the foundation of any outdoor living area. This is a must-have feature to create usable space in your backyard where you and your family can relax after a long day, or you can have a few friends over for a weekend get-together. If you do nothing else to enhance your backyard, you simply must have some type of patio with durable, comfy patio furniture. Most single-family homes in Southern California are built with some type of patio. Often, it is a small, concrete patio, which may not be an ideal setup for elegant dinner parties, but it will work just fine until your budget will allow you to upgrade to a larger, paving stone patio that will definitely impress your guests and can even increase your home’s value. If you are currently working with a concrete patio, you can enhance its appearance with inexpensive concrete paint or by adding an inexpensive outdoor rug that will bring in color and texture. You can then set up a seating area with outdoor sofas, chairs and cocktail tables to create a welcoming outdoor area where you can enjoy your morning coffee or host that overdue housewarming party. If you shop at the end of the season, you can find some great deals on outdoor rugs, furniture and cushions. Alternatively, you can look for previously loved pieces at thrift stores or yard sales that might simply need a good cleaning or a new coat of paint. String lights and an extension cord are all you need to create a relaxing, intimate atmosphere for at-home date nights or social gatherings. There are plenty of higher-end options available that can enhance your backyard even more, but simple Christmas-style string lights will do the job as well. 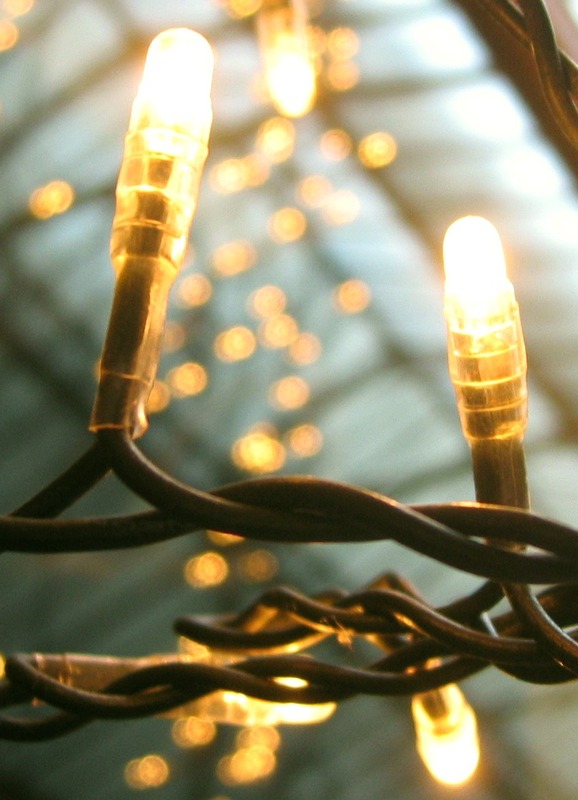 When shopping for inexpensive string lights, you will want to make sure to choose options that are intended for outdoor use. You will also need nails, a staple gun or adhesive hooks to install these lights along the beams of your covered patio, or you can simply run them between light poles, trees or other tall objects in your yard. You can always find this type of landscape lighting at home improvement stores, but around the holidays, you can also find it at discount stores and even dollar stores. Single-color strands work best for creating a welcoming atmosphere, but you can get creative with your color choice to create your desired look. For example, you can find single-color strands of purple or orange lights around Halloween, and single-color strands of blue, green, red or clear are available in the months leading up to Christmas. If you wait until after these holidays to buy your lights, you should be able to find some great discounts at post-holiday clearance sales. 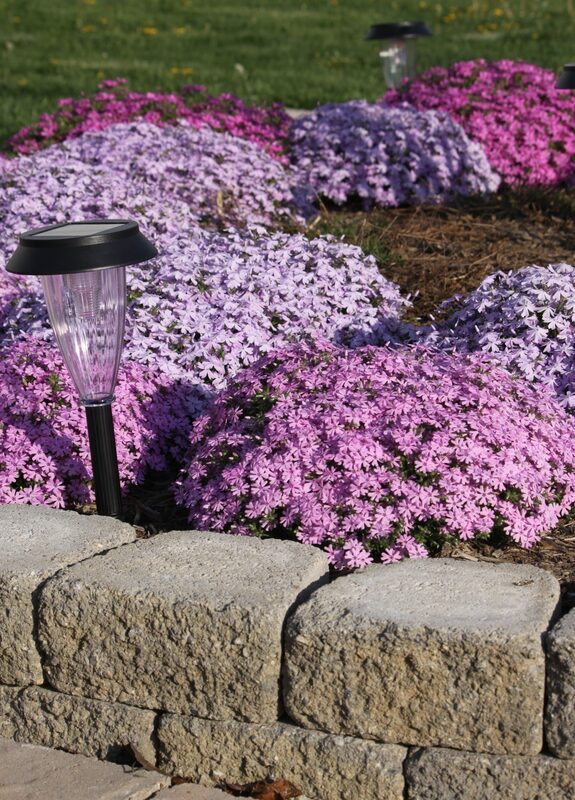 Another inexpensive option for landscape lighting is solar path lights. Solar-powered landscape lighting requires no electricity, which means you do not have to run power lines or hook into a power source. This means you can place these lights anywhere you would like, including along the border of flowerbeds, alongside walkways or as accent lighting round your yard. Solar path lights are an option for any budget, since you have can find higher-end choices at your local home improvement store, but you can also find cheaper choices at discount stores and dollar stores. Privacy screens are a great, low-cost option for creating separate spaces in your yard or quickly covering up unattractive areas. 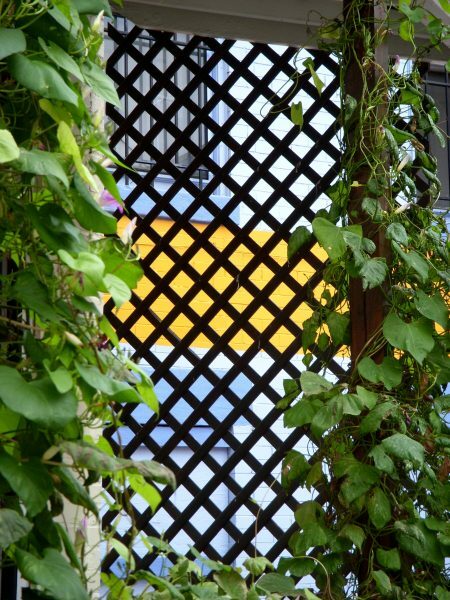 An inexpensive trellis is usually the most cost-effective option, which allows you to plant ivy or other fast-growing vines, and train them to grow up the trellis to create an attractive screen. Once your screen is established, it can provide privacy from neighbors, create a more intimate entertaining space or block your guests’ view of trash cans, air conditioning units or other unsightly items in your yard. Trellises and pieces of lattice are readily available at home improvement stores and will fit most homeowners’ budgets, but you can also build your own to save even more while improving your backyard. If you cannot afford a complete overhaul of your backyard but would like to make it as inviting and enjoyable as possible, you can add one or more low-cost, functional features to make your yard more fun. One option would be adding a horseshoe pit for use by your family or during social gatherings. Horseshoe pit installation can involve bringing in professionals for precise measuring, paving stone backdrops and artificial grass surrounding your pit, but it can also be a simple, DIY project. 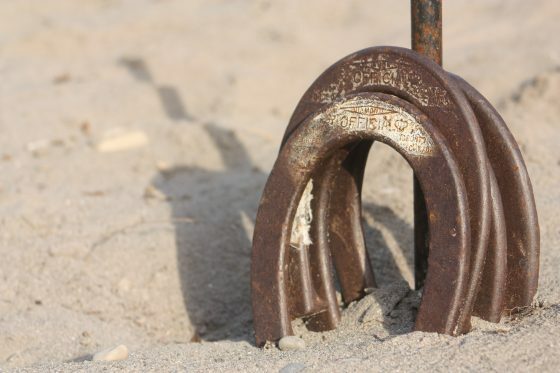 While the perfect sand and a professional setup might be ideal, you can install a simple horseshoe pit that your family and friends can enjoy without making major changes to your yard. If you have a space large enough, all you need for a basic setup is a store-bought horseshoe game set, a shovel and a few bags of sand. You can always upgrade at a later time, but this basic setup is enough to get some great games going the next time you have friends over. Fire pits are quickly becoming a must-have feature for Southern California yards and patios, so it is no surprise that the variety of options available is always expanding. Elegant fire features can instantly transform a backyard and create a warm, welcoming atmosphere for entertaining, but many options for fire pits and outdoor fireplaces are outside of most homeowners’ budgets. If you are interested in including a fire feature in your backyard landscaping, but are not in a position to spend $5,000 or more for a fireplace or pit that is professionally designed and installed, you can meet your outdoor entertaining needs more affordably with a do-it-yourself or portable fire pit. Portable fire pits are often the least expensive option, and there are many choices available at home stores for less than $200 – with some lower-end options selling for as little as $50. There are also many styles of fire bowls that sit on top of a table or pillar that will add fire to your backyard for less money. While portable fire pits are a simple, cost-effective solution for adding a pit to your backyard, built-in pits are almost always more attractive and will add more to your home’s overall appeal. Handy homeowners can build their own pit with a variety of low-cost materials, including concrete or some sand and mortar, and river rocks or paving stones. Pavers are often thought of as a higher-end material that may be beyond homeowners’ budgets, but if you think you might not be able to afford a professionally installed paving stone patio right now, using pavers for your fire pit is a great way to bring this luxury feature into your landscaping at a lower cost. Buying a few dozen paving stones for a fire pit is much more affordable than buying a few hundred for a patio, making this a great option for budget-minded homeowners to begin moving towards a paving stone makeover for their property. Bricks and river rocks are other affordable options for installing your own fire pit in your backyard. At first, it may seem too challenging to improve your backyard living spaces on a budget, but with a bit of creativity, you can create functional, enjoyable areas for outdoor living without going bankrupt. Working within a budget gives you the opportunity to learn new handyman skills, explore new stores in search of deals and learn new ways to stretch your dollars and still get what you want – even if it might be a scaled-down version. You can also consider this an opportunity to come up with ways you can include high-end materials and features in your yard without putting out the cash for a full makeover for your yard. For example, if you have been considering replacing your natural grass lawn with low-maintenance artificial turf, but think that is outside your budget, consider swapping out a smaller patch of grass or installing a lawn bowling green with synthetic grass. This allows you to replace some of your current lawn with manufactured grass and to live with your new artificial grass to see how it compares to natural grass. This also allows you to speak with synthetic lawn installation professionals and to find out how much it costs to replace your natural grass, which is likely more affordable than you think. Learning more about low-maintenance landscaping options, like artificial lawns, is also a great way to get backyard improvement ideas that can help you save money over time, since you can save on maintenance costs and water bills when you move towards low-maintenance landscaping. You can also save money on home improvement projects inside and outside of your home by taking advantage of free classes available at your local home improvement center, which will teach you the skills you need to save money by making at least some of your home improvements do-it-yourself projects. Which do-it-yourself backyard improvement projects have you completed on a budget? If you have tips for saving money while enhancing your outdoor living spaces, share them with us in the comments below!